Saint Joseph is one of the most beloved saints among Italian-Americans. As the patron Saint of workers and the protector of the family, he is honored with a feast on March 19. According to legend, there was a famine in Sicily many centuries ago. The villagers prayed to St. Joseph, foster-father of the Infant Savior, and asked his intercession before the throne of God. Their prayers were answered. 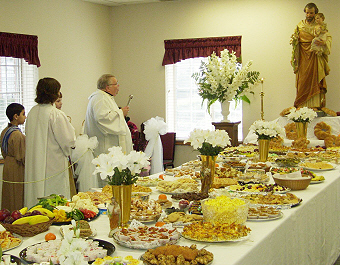 With the ending of the dreadful famine, a special feast of thanksgiving was held in commemoration of the Saint. This celebration became tradition. Wealthy families prepared huge buffets. They then invited the less fortunate people of the village, especially the homeless and sick. 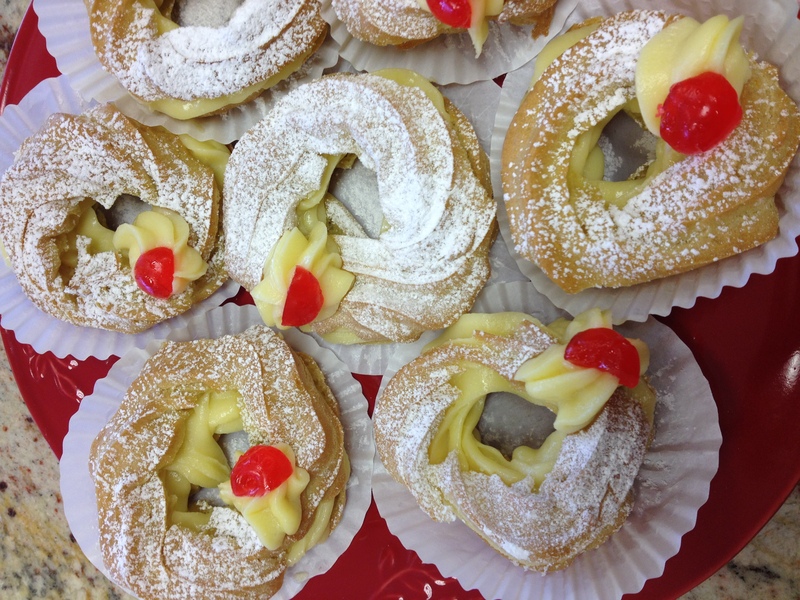 The traditional dessert served on St. Joseph’s Day is Zeppole. This is an Italian deep fried pastry (sometimes baked) filled with custard and topped with powdered sugar. Zeppole are typical of Italian cuisine, especially that of Rome, Naples and Sicily. The custom was popularized in the early 19th century.